Introducing The Southeast Asia’s First KFC Open Kitchen Concept Store! Look Out for These 25 Most Beautiful Villages in the World! The World's New Tallest Known Tropical Tree Has Been Found. It's Spotted in This Region Too! Tesla to Roll On Roads in Jakarta as ... Taxi! The World's Biggest Single-Day Election Is Happening Today in Southeast Asia! Finally, Southeast Asian Students Community in Turkey Established! How a Javanese King Defeated a Powerful Mongolian Emperor? Colonel Sanders knows we’ve got plenty of fried chicken eateries in Singapore, and he’s upped his game with a new outlet called The Tank @ KFC Tampines Mall, Coconuts Singapore online portal reported. It’s the fast food chain’s first open kitchen concept — okay, glass-enclosed kitchen — in Southeast Asia, and it’s one that proudly shows off the entire cooking process of its OG fried chicken. So while you’re chowing down on finger licking food in the 85-seater space, you can see how it all comes together before your plate reaches you. But don’t bother scrutinizing the cooking crew’s movements for a peek at the famously classified recipe though; the 11 herbs and spices will remain strictly confidential. To complement the launch of The Tank, the brand will also debut its KFC Open Kitchen program this month, offering curious visitors a behind-the-scenes glimpse — all for a price, of course. From the storage area to the breading and preparation stations to the final service counter, KFC restaurant managers will show you around the outlet you choose. You’ll get to observe how the bird is hand-breaded and fried, and how the burgers are assembled, as well as have a chat with the cooks. 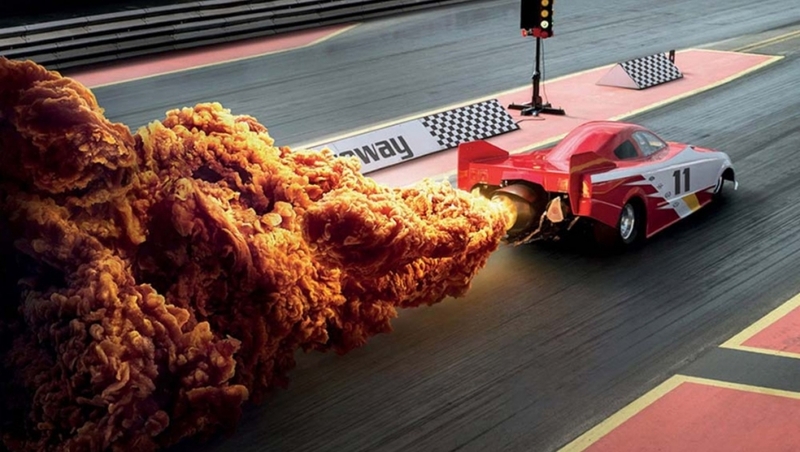 One highlight you’ll experience is how the fast food eatery’s Original Recipe chicken is made. Abiding by Colonel Sanders’ “7-10-7” breading technique, the chicken chunks are rolled seven times in a basket to get rid of excess moisture, tossed 10 times in breading flour, then pressed seven times into the breading flour. Following that, the pieces are placed in layers of stainless steel clamshell baskets (in a proper layout to avoid overlap) where they’re ready to be pressure-cooked. It’s all very specific and exact, and probably the key to ensuring everything comes out evenly and quality is consistent. So yeah, you’ll be privy to some secrets, just not all. Why you report this article? ... and there's only one in the region is spotted. Powered by Good News From Indonesia. All Rights Reserved.